Background/Info: Behind Rasalasad is hiding Thisco label owner Fernando Cerqueira, a Portuguese artist who been into music for a long time. Next to his work under Rasalasad he also got involved in other music projects like Walt Thisney, Croniamental and Ras.Al.Ghul. 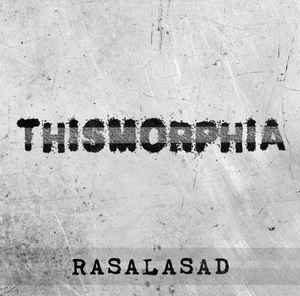 “Thismorphia” is the third full length album by Rasalasad and the first one in 13 years. 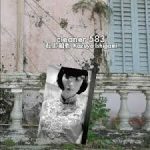 Content: This work mixes dark-ambient influences characterized by dark, humming sound waves, industrial noises and minimal electronic treatments. The work is pretty experimental, but also diversified because of the great sonic arsenal that has been used. + + + : Diversity definitely is the key and main element of this work. It rapidly becomes clear that Rasalasad likes to experiment with different sources of inspiration, but he also likes to work with guests. “Thismorphia” became an open-minded work, like a fusion between different genres and the symbiosis between rough sound treatments and artistic arrangements. I like the industrial element running through the work and whispering vocals emerging on different cuts. It creates a somewhat ghost-like effect, which accentuates the mystery of the ambient side. 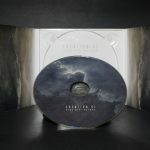 – – – : “Thismorphia” is an album, which despite of its diversity, needs several listening before you really can get into it. The experimental side is not the most accessible one. Conclusion: If you don’t know this band yet, or you simply have forgotten what the sound is all about, “Thismorphia” is an interesting although complex experimental work to get more familiar with the sound. Best songs: “Night Walk”, “Deriva”, “This”, “Astellar”.